Wednesday evening our high school daughter began complaining of a sore throat. Thursday morning she can barely talk. I decide to keep her home from school. After a day of appointments, I return home at 4:30pm to find her worse. "It hurts to breathe," she says. She now has a fever. I call Doc H who barely has time to talk to me. He is between cases. "She should come in for a rapid strep test," he says. I don't ask much of you. In fact, I ask nothing of you. Instead, I support you. How, you may ask? I don't nag, I don't complain. 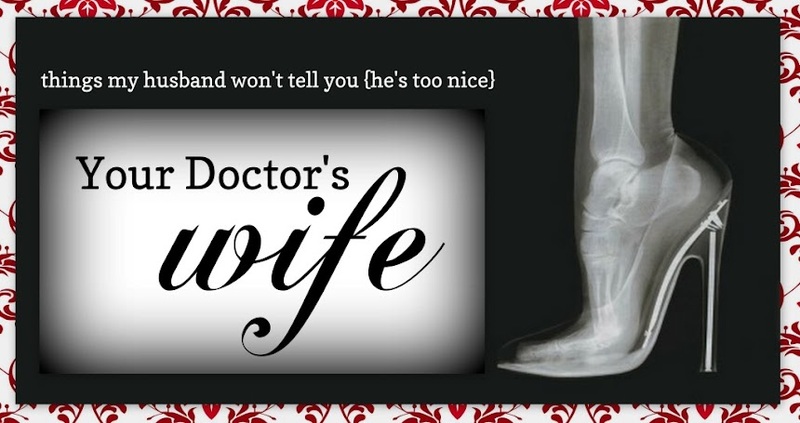 I give my husband the space and support to work the insane hours he must work to fulfill your expectations of excellent patient care without receiving any grief for putting us, his family, second behind you. He works overtime in order to make sure your patients are seen within acceptable hospital imposed patient access time frames. He misses family dinner time in order to reply to patients questions, deliver test results, or return emails in a timely fashion. At his own daughter's graduation ceremony, he sat on the edge of his seat, because he had to take call. He skips family vacations in order to make sure his department, your hospital, is not understaffed. My husband sacrifices his family, his marriage, to put patients first... to put your business first. Again... I do not nag, I do not whine, nor do I complain to my husband about myself or the kids being second in line behind the hospital. So, excuse me if I find today's behavior completely unacceptable. Surely, there must be a reason why physician's and their families are given a platinum insurance card, correct? It clearly identifies us as part of the hospital "family". So, if I call identifying myself as the wife of a physician who works for the hospital and am with a sick child, why am I put on hold for over 30 minutes, which then pushes me past 5 o'clock? Now clinics are closed, which amounts to no strep test until the following day. NO patient should be made to wait over thirty minutes to speak to a hospital representative and/or advice nurse. We, the spouses and children of your physicians, don't beg much of you. However, when we DO need your help (because our own Doc H can't help us because he is THERE at the hospital tending to YOUR patients), we do expect you to pitch in for us, just as we do for you on a DAILY basis. 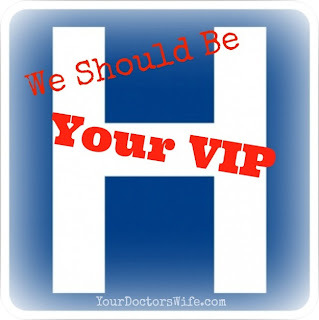 Yes, if my husband is tending to YOUR patients, I do expect you and your team to step in for him and tend to us like he would if he were free from your chains. For God's sake, either train your phone reps to send us to the ER, where a resident could tend to our needs, or, as Doc H suggested, open a dedicated Physician Phone Line for us to call in and get the help we need, when we need it. We stand second behind you. We get it. However, we shouldn't be made to feel second by you. Instead, how about you ensure any interactions with your Doc families say THANK YOU. Ack! I feel your pain. And your daughter's. I hope she has finally been seen and medicated and is starting to feel better. Almost as wonderful as the treatment my daughter got at the hospital where I work last spring. I brought her in with the worst migraine of her life, they gave her meds which made it worse, so they gave her two more doses of the same meds, and then sent us home. I took her to the ER of the competing hospital the next day, they gave her the standard migraine cocktail and within 15 minutes the headache was almost completely gone. I've had the head nurse and one of the two head docs in my office apologizing for a good half hour each. Which is all well and good, but it doesn't make up for the fact that my kid was put in the noisest room in the ER, mistreated, and sent home in worse shape than she arrived. I'm seriously looking for another job, but we can't move from the area for another three years. Well, I don't love that your sweetie is sick, but I live your letter. Let's get that physician phone line going!! Call the hospital administrator. Can't believe that happened. If it's not too complicated I would just drive in and have her seen. Hopefully they don't make you wait to be seen. That would make me nuts. I hope she is feeling better. I would be livid if I were you. You're a saint...I would not put up with that abuse about the vacations and call stuff. THinking of you. Sorry if this is a dumb question, but why couldn't you just take her to the ER? Why did you have to call first? This sounds just like some of the staff my husband has worked with in his clinics. Once 4:30 hits, they stop answering the phone because they don't want to deal with anything else for the day. SO sorry you had to deal with that- it's infuritating! Ummmm, can't you just select the option for "if you are a physician or a physician representative, press one"?? OR will that unleash a new hell upon you?? Preach it sister! I totally agree. I am already wondering what kind of treatment I will get when I give birth at Dr.H's hospital. I better get the works damnit, haha. Ugh ugh ugh!!!! I want to scream for you!! Thats not fair to anyone. I hope your daughter is feeling better!